Welcome to the Tudor era! The Tudor family reigned England from 1485 until 1603. Henry VII was a man who believed in peace. Unlike his son, who would become Henry VIII! He kept peace and, kept the country smoothly run. In 1509, he met his death bed. His son, Henry VIII, took over! We all know about his six wives, how he treated them and even how they met their sticky ends! But, what was he like as a young man? We don’t much about that, do we? 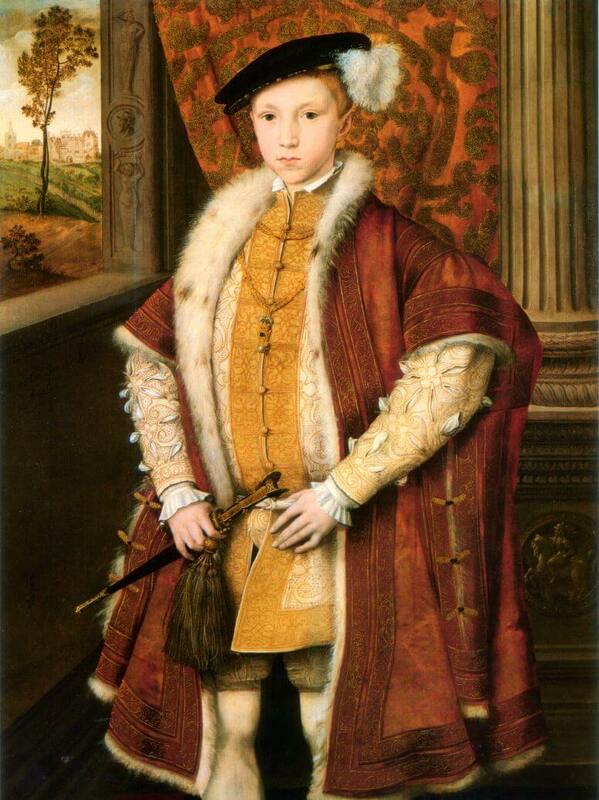 As a young man, Henry VIII loved wrestling and many other sports. Unlike when he was older, he was slim and attractive. 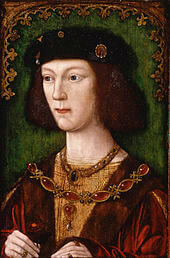 He insisted that he would marry Catherine, and at a young age of 17 too! This is the Henry we know! Catherine had many births, most of which died! Only Mary survived! They tried and tried until Catherine of Aragon couldn’t give birth to any more children! He tried to persuade the Church to divorce Catherine, but refused. So, Henry VIII set up his own church called the Church of England and got a divorce THAT way! He wanted to marry Anne Boleyn as soon as possible, because she was pregnant! 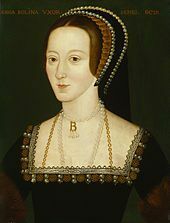 Anne was believed to be a witch, because she had six fingers on one hand, and also there are rumours that Anne Boleyn performed a spell on Henry to make him fall in love with her. This is Anne Boleyn. Off with her head! In 1536, she was executed. Her head was chopped off so quickly that her lips moved after she was executed. And what was Henry doing all that time..? He was playing tennis! As soon as he heard that Anne was executed, he went straight to Jane Seymour. Jane Seymour, Anne of Cleves, Catherine Howard and Catherine Parr was the next of Henry’s wives. Jane Seymour gave birth to Edward, and died shorty afterwards. Henry saw a portrait of Anne of Cleves and loved it, but when he saw Anne in person, he said, “She looks like a horse!” He divorced her. Catherine Howard was Henry’s wife for one year. She got beheaded! Catherine Parr was the last wife of Henry. She looked after Henry when he got severely ill and died. Catherine survived! Edward came onto the throne when he was just 9 years old! He was a Protestant, just like his father. Edward wanted to finish what his father started: The Church of England. Protestants are an extreme version of Roman Catholics. In some ways, they are the same, but in other ways, very different. Protestants believed in the Bible, but not in the Pope. Roman Catholics liked their churches colourful with statues and many other colourful and valuable objects. Protestants just liked churches white and simple. Because Edward was so young, the country were mainly run by advisors. Edward had a short life and died at the age of 15. To make sure his Catholic sister, Mary, didn’t get on the throne, he put Lady Jane Gray on the throne. Lady Jane Grey ruled for only nine days before getting her head cut off. So there’s not really much to say here! Mary, also known as “Bloody Mary”, was Catholic and burnt to the steak many hundreds of people during her 5 year reign, just for being Protestant. Catholic or Protestant- which one should we choose? Thankfully she only reigned for 5 years and died in 1557. Lucky for the Protestants, not so lucky for the Catholics. The Tower of London was used to cut many heads off during the Tudor era, and Mary’s was no exception. Elizabeth I reigned a long time. She herself was Protestant, but she treated both religions equally. Few, finally we can choose which religion we want to be and not be punished! Shakespeare started doing his plays during Elizabeth’s reign. He also performed his plays to the queen a few times.